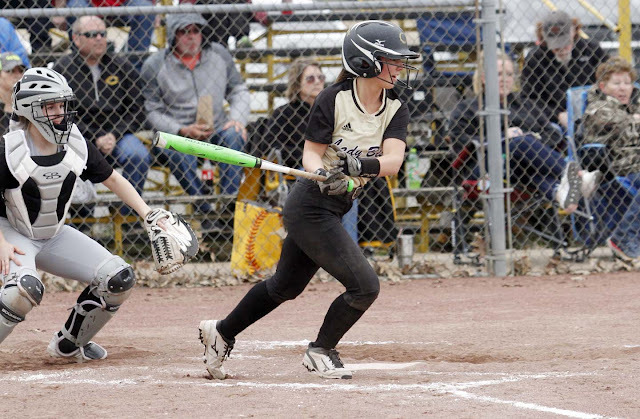 CARLISLE — The Number 4 was key for the Carlisle Lady Bison in their 12-2 win over Bigelow in the 2A-5 North opener at Bobby Glover Field. Carlisle scored four runs in the first, fourth and fifth innings en route to their fourth win of the season. The Lady Bison are now 4-1 on the year. The Lady Bison based out 12 hits in the victory and took advantage of three Bigelow errors. In the first inning, Bailey Crump singled with one out. Mackenzie Raper followed with a single then Caty Parker walked. Raegan Mills reached on an error, which allowed Crump, Raper and Parker to score. Mills scored on a single by Shelby Hancock. Scoring for the Lady Bison in the fourth were Heather Bowlan, Gracie Brown, Ansley Terry and Crump. The Lady Bison ended the game in the fifth inning, scoring four in the bottom of the fifth. Brown tripled with one out and scored scored on a single by Terry. Crump followed with a double, driving in Terry. Crump scored on a single by Raper. Parker then hit a ground rule double to center field. Raper scored on a the play after she went to second on a passed ball. Crump led Carlisle with three hits. Getting two hits each were Terry, Raper and Brown. Parker, Hancock and Bowlan had one hit each. Hancock got the win. She gave up two runs in five innings of work. She struck out nine.